In the past, auto transport meant having to drop off your vehicle at a terminal where it would sit for weeks before it was on a truck and on its way to another terminal where you would pickup. This service, known as terminal to terminal, was the go to option as it was standard and affordable. What many customers didn’t realize was that having to coordinate a drop-off and then a pickup would in the contrary cost them time and add another task to complete. Fast forward to today, door to door is the new standard service for auto transport. Simply put, door to door service means we come to you. Carriers conveniently pickup and deliver your vehicle as close as possible and legally allowed. If your locations are inaccessible for trucks, our carrier will look for a nearby location where he can park and safely load and unload your vehicle(s). Most of the time this will be a commercial shopping center such as Walmart, Home Depot, Target, Lowe’s etc. or a major ample street where he can pull over, park and safely load and unload. 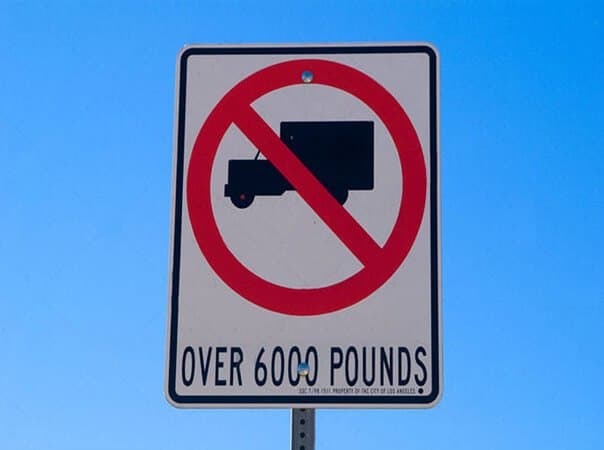 By law trucks weighing over 6,000 lbs are prohibited access on residential streets. Residential streets are narrow in size and do not have the necessary space for trucks to safely maneuver in and out. There is also other restrictions that can jeopardize carrier safety which include overhanging trees, cul de sacs, parked vehicles, dead ends and so on. Keep in mind, many car carriers are large 80ft (100ft with ramps extended) commercial trucks that require sufficient space to park, load and unload. In addition to their experience, drivers use commercial GPS’ to determine how close they can get to your location and what streets are accessible and inaccessible for their trucks. Preparation is important to ensure a smooth car transport experience for you and for our carriers. Understanding open vs enclosed will give a better idea of which transport option best suits your needs. Have questions about shipping? We have answers to the most frequently asked transport questions. Ready to Book Your Transport?